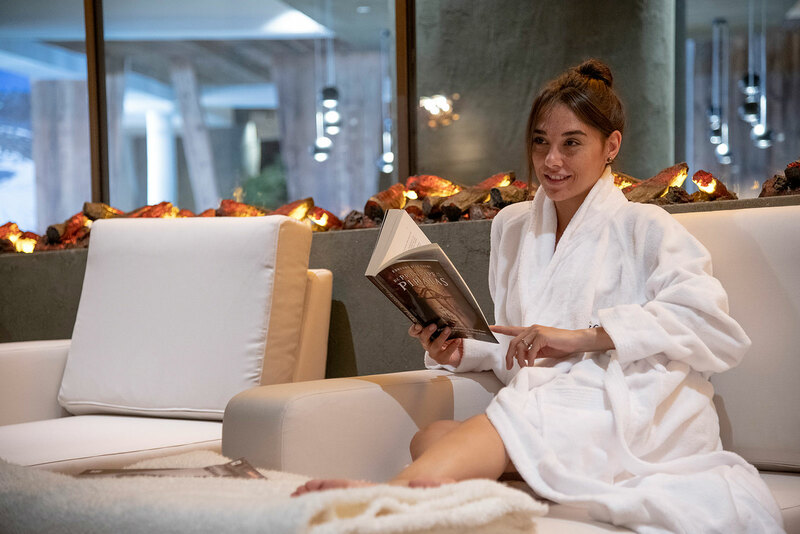 4 star hotel with spa and wellness centre "Essentia-Spa"
After an intensive day spent in the beautiful nature of Val Gardena in South Tyrol, our wellness area "Essentia-Spa" is the ideal place to relax. 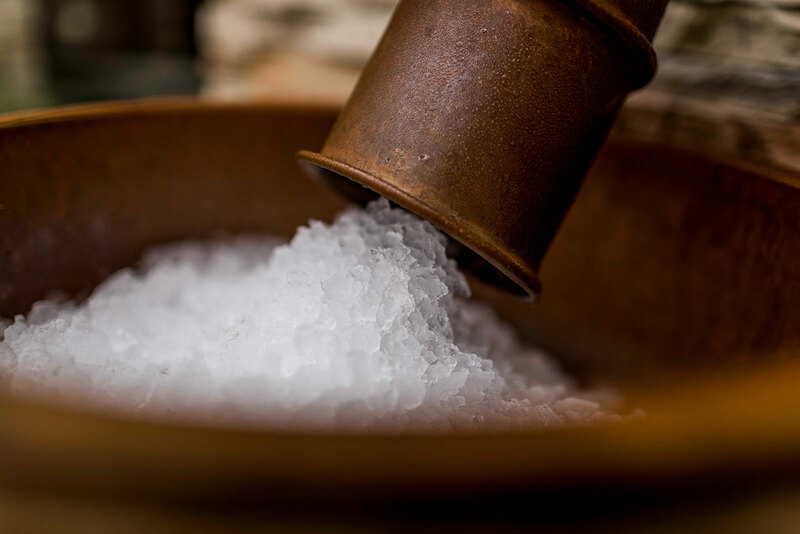 Here you can recover energies and strength for another day in the marvellous Dolomites. 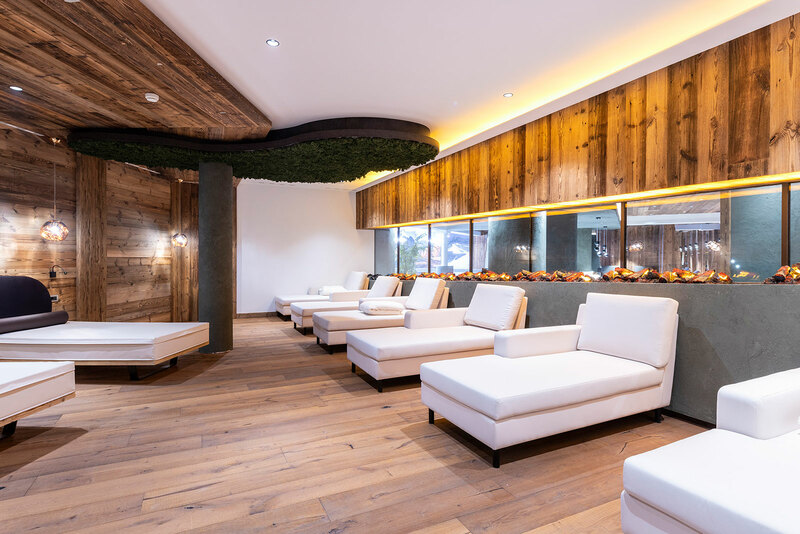 There is a relaxation room where you can restore energies, think about the beautiful day spent in the mountains and find some peace and quiet. 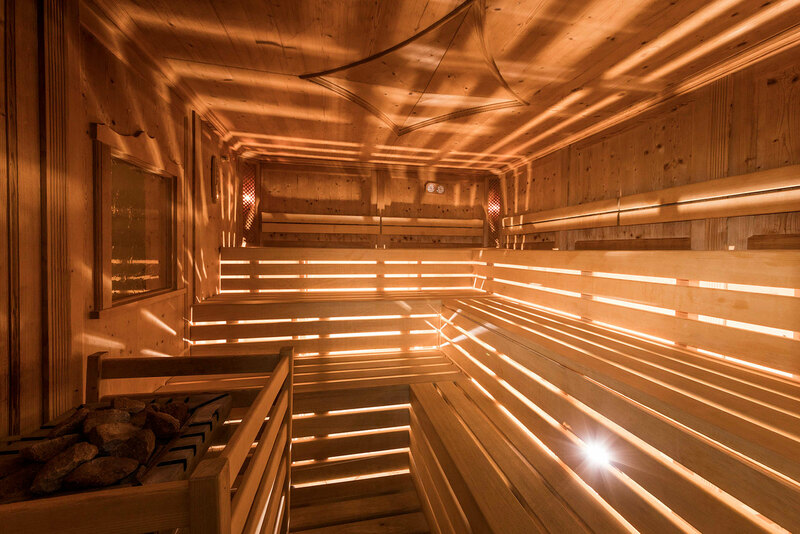 If you need to relax your muscles, we suggest to take advantage of one of our saunas: the Bio-sauna or the Tyrolean sauna. Or do you prefer a steam bath? You can choose between an aromatic steam bath or, as an alternative, a fragrant herbal bath. After the heat of the sauna or the steam bath you'll need a refreshing Kneipp therapy, reactivating your blood circulation. Feel the blood circulation and the freshness in your legs! Moreover, we offer special beauty treatments and massages. 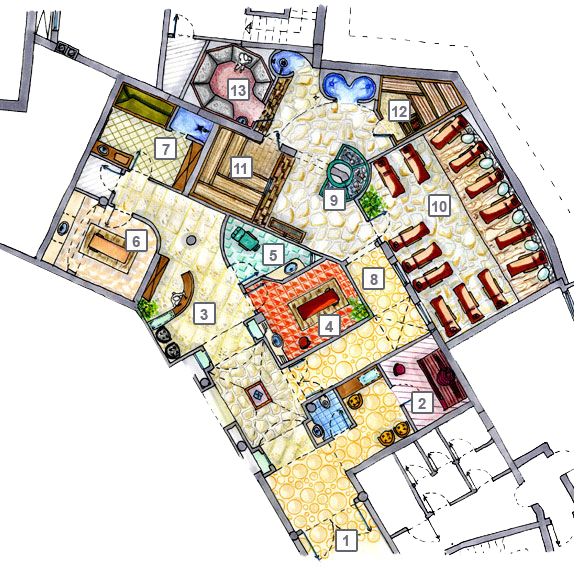 We are at your disposal for information directly at the hotel reception or at the entrance of the wellness area "Essentia-Spa". Of course it is possible to book your treatments when you are still at home. Please contact us directly, we will be pleased to advice you. 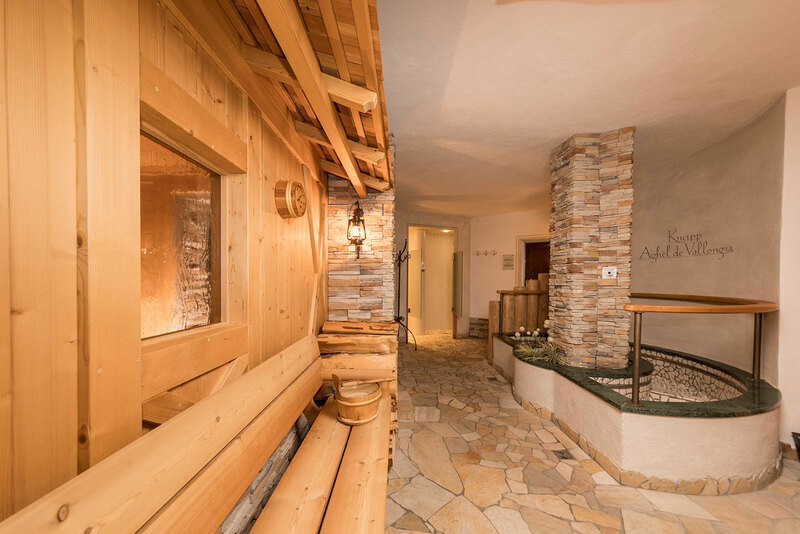 For those who are particularly sportive in the Dolomites in Val Gardena and would like to keep their body in shape also during the holidays, there is a fitness room at their disposal in the Hotel. 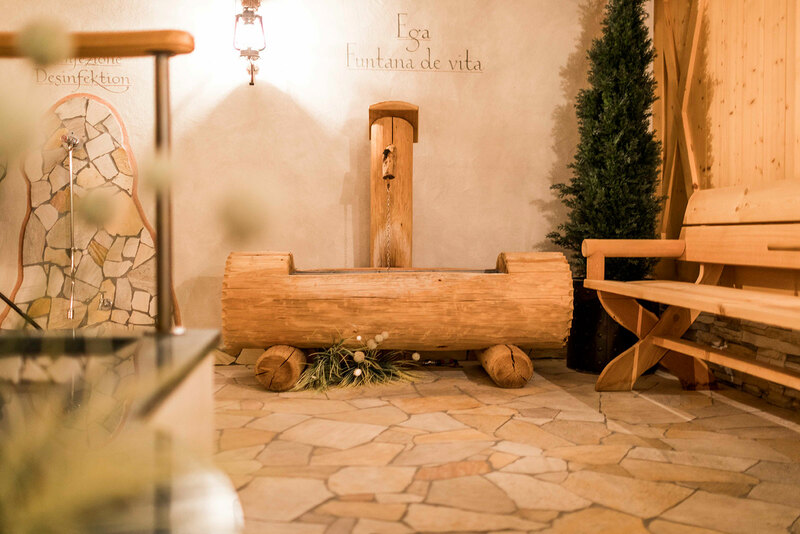 It will be a great pleasure to welcome you in our wellness area "Essentia-Spa" of the Hotel Miravalle, located on the way to the Sella Ronda skiing tour!